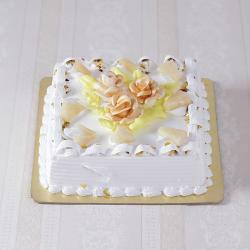 Give you and your guests a delicious “blast from the past” with our Cakes Today interpretation of the Black Forest Cake, a retro favorite that’s making a real comeback. 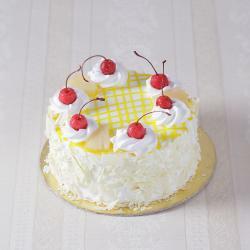 It may have been a highlight of parties in the 1970s, but there’s no reason to leave this luscious cake in the past - after all, how can you go wrong with cream, chocolate, and cherries? It’s a combination which delights the senses, marrying the tartness of cherries with the silky sweetness of cream and the richness of chocolate, and Cakes Today’s handmade version is sure to remind you of just how amazing it can be. Layers of our hand-baked chocolate sponge are balanced by hand-decorated swirls of light, airy cream, indulgent chocolate shavings, and individual glace cherries for an effect that’s fun, playful, and delicious. To finish it off, we decorate a milk chocolate disk with the message of your choosing, then wrap it in a colorful ribbon hand-deliver it for a treat, a party, or just the surprise of a same-day gift. As like Birthday, Anniversary, Valentines, Boss Day, Grandparents Day, Children's Day, Republic Day, Retirement Gifts, Good Luck Gifts, Corporate, Engagement, Just Because and many more. 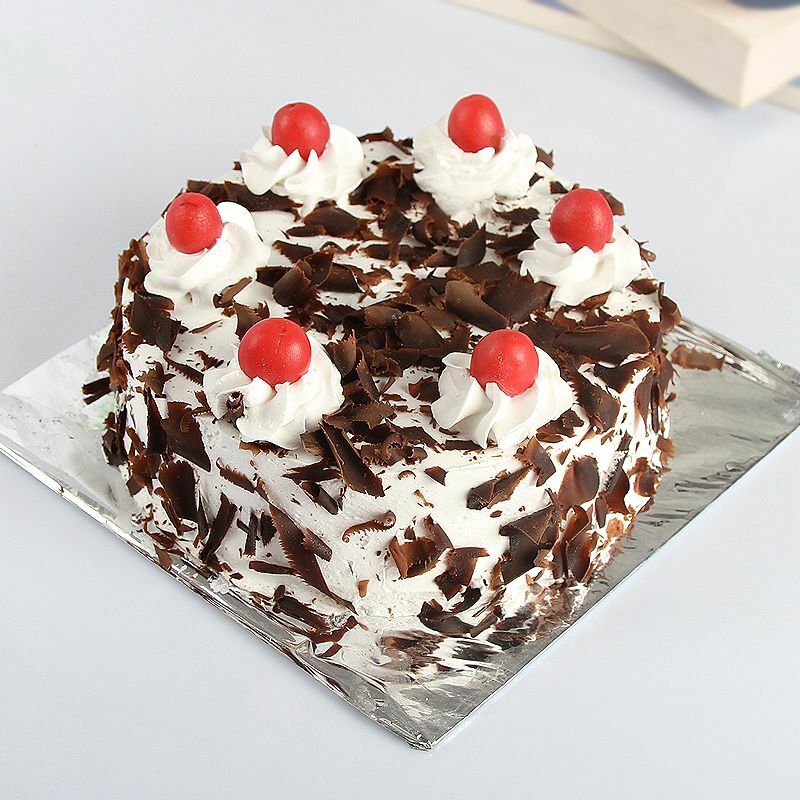 Product Consists: 1/2 Kg Cherry Black Forest Cake.